Signature :Echizen Koku Shimosaka Sadatsugu. Shinto : Jyosaku high ranking : Echizen province. This Echizen Koku Shimosaka Sadatsugu belongs to Jyos saku ranking. 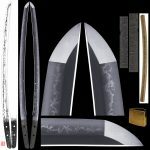 Blade length : 50.6 cm or 19.92 inches. 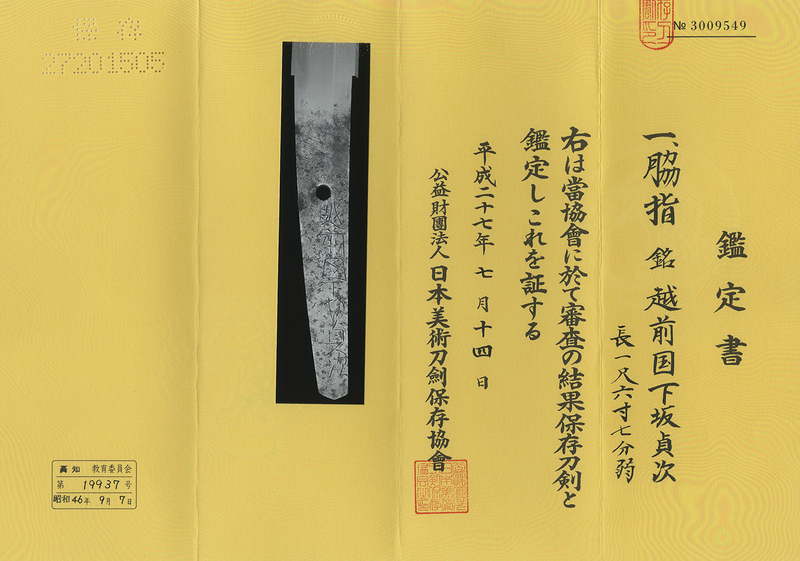 Width at the Kissaki : 2.10 cm or 0.82 inches. 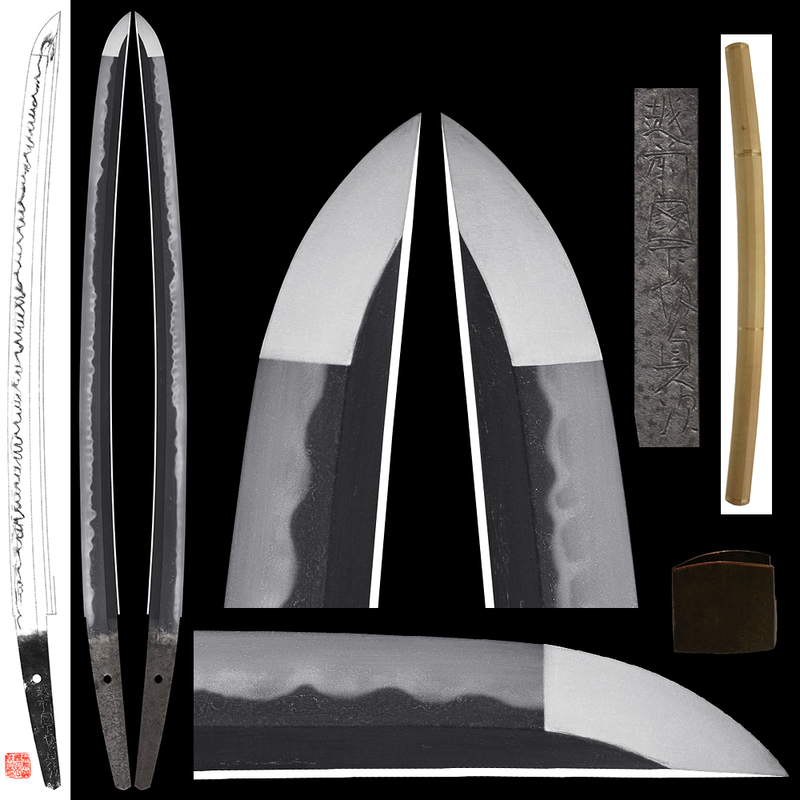 Shape : Regular size Wakizashi. Jitetsu : Itame Hada was grained with Jinie attach. It is Hokkoku Jigane. Boshi is around Hakikake style. at Echizen province Keicyo era to Kanei era. His blades looks like Echizen Yasutsugu. This blade is nice work. And also there are much up down on the Hamon. Tsuba : Mokko shape iron Tsuba. Late Edo period. Menuki : Iron, probaly Shishi dog is engraved. Historical battled castle which was destorpied. Ruin of the Hara castle.